Sports journalist, premium show host and presenter of Sports 360 on Vox Africa, Mimi Fawaz and Nollywood legend, Richard Mofe-Damijo (RMD) have been confirmed as the official comperes of the 2016 Glo-Caf Awards. A graduate of City University of London, Mimi who is half-Nigerian (her mother is from Asaba, Delta State, Nigeria) and half-Lebanese, has worked for CNN, ESPN and ITV Television networks. Described as the ‘driving force behind UK’s first original African football show’, Mimi has successfully carved a niche for herself in a field dominated by men. Mimi is delighted by the opportunity extended to her to host the show and has promised Africa and the rest of the world a spectacular delivery. Popularly known as RMD, Richard Mofe-Damijo was born July 6, 1961. He is a Nigerian actor and politician. He was the Commissioner for Culture and Tourism in Delta State, Nigeria between 2009 and 2015 . Mofe-Damijo who was born in Warri, Delta State, Nigeria, attended Midwest College, Warri and Anglican Grammar School and was a member of the Drama Club. He enrolled into the University of Benin where he studied Theatre Arts. 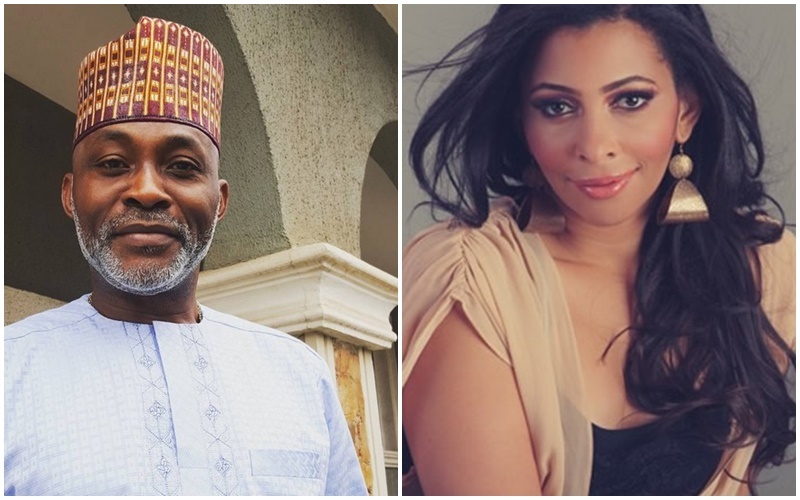 A lawyer, politician and journalist, RMD has featured in several top-notch soaps and films such as Ripples, Out of Bounds, Three Wise Men, Oloibiri and Hush. A multiple award winner, RMD in 2005, won the Best Actor in a Leading Role at the maiden edition of the African Movie Academy Awards. He is the face of Globacom’s powerful television commercials which celebrated the company’s ground-breaking launch of Nigeria’s first nationwide mobile 4G LTE network. Mimi Fawaz and Richard Mofe-Damijo will complement the glamorous event known as the Oscars of African football and scheduled for the night on 5th January, 2017 at the International Conference Centre, Abuja.